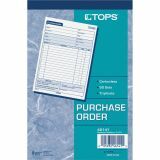 Note: A minimum quantity of 50 must be ordered, and in units of 10 thereafter. 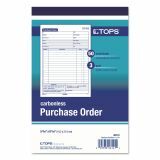 TOPS Purchase Order Book, 5 9/16 x 8 7/16, Three-Part Carbonless, 50 Sets/Book - Purchase order book offers ample space for listing up to 12 items and a carbonless three-part format. 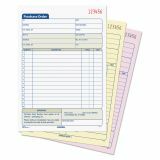 Triplicate format includes originals in white, duplicates in canary, and triplicates in pink. 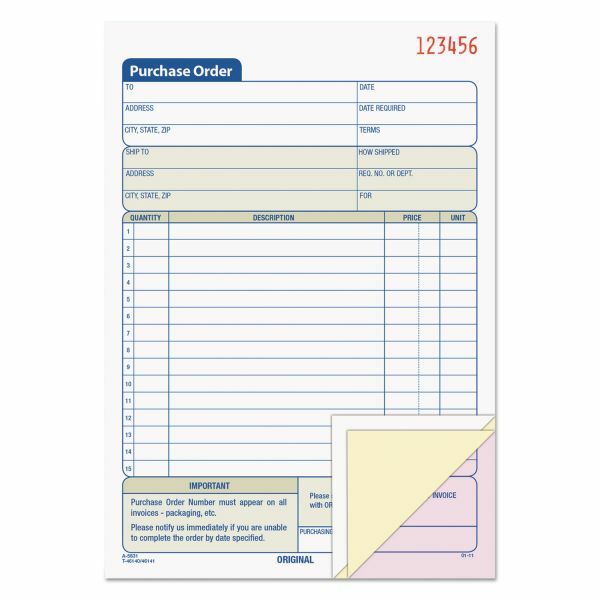 Each form offers space for recipient's name, address, shipping address, date, date required, shipping method, terms of shipment, and name of purchasing agent. 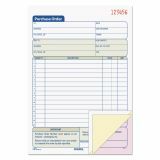 The list of 12 items allows you to list quantity, product description, price and unit. Wraparound back cover prevents write through." Detached form measures 5-9/16" x 7-15/16". Book contains 50 sets."